I’ve Been Quoted! My First Quote!!!! I couldn’t be more happier today after opening the long awaited package from Harlequin Teen! Way back in early March Natashya of Harlequin emailed me to ask permission to use a quote of mine from my UNRAVELED review. Um, YES! Please! I was so excited at that point but that had nothing on today’s excitement. My 8 year-old daughter thought I’d gone crazy and my 14 month-old son danced along in his high chair. Without further ado here’s the first page of the ARC edition of Gena Showalter’s ALICE IN ZOMBIELAND! A shout out to long time fellow blogger, Jessica at a GREAT Read on her quote too! You’ll want to grab a copy of this when it comes out in September! 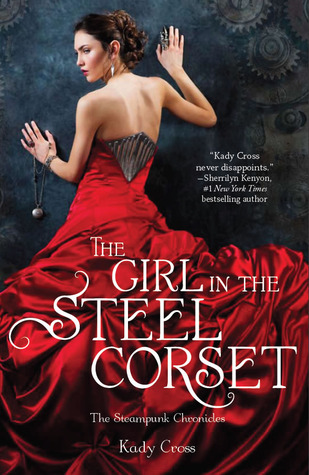 Tags: Gena Showalter, Harlequin Teen, I'm Quoted! eARC from Harlequin Teen via NetGalley. 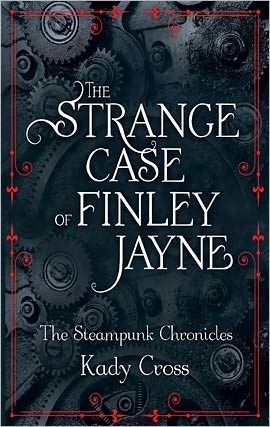 A fabulous follow up to a great first installment of a unique YA steampunk paranormal romance with amazing secondary characters. If you read and enjoyed the first book of this series then you’ll surely love this follow up. 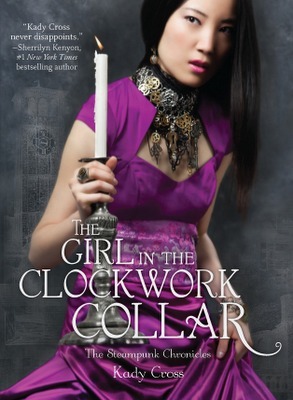 While I wasn’t a fan of the actual girl that was in the clockwork collar, Mei, I just loved the plot and the advancements that happened between the main characters of Finley, Jasper and Griffin. I can’t wait to see what book three has in store of us!